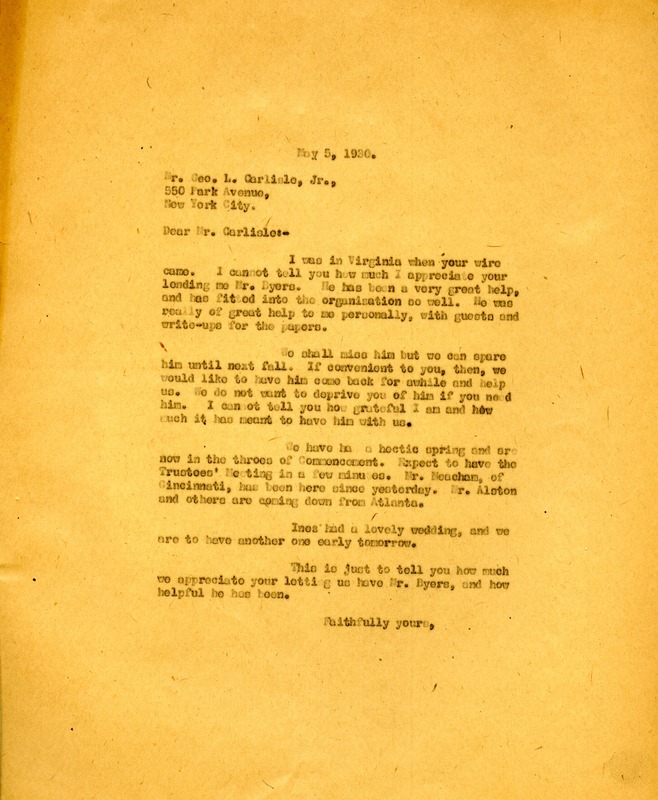 Martha Berry Digital Archive | Letter from Martha Berry to Geo. L. Carlisle, Jr.
Mr. Geo. L. Carlisle Jr.
Martha Berry, “Letter from Martha Berry to Geo. L. Carlisle, Jr..” Martha Berry Digital Archive. Eds. Schlitz, Stephanie A., Sherre Harrington, Christy Snider, Chelsea Risley, et al. Mount Berry: Berry College, 2013. accessed April 20, 2019, https://mbda.berry.edu/items/show/12000.